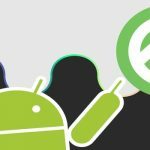 The latest release announcement presented Google Android Studio 3.2 augurs well for Android developers with a host of new features it offers. The update which was initially announced at the IO developer conference back in May has been long awaited and was officially released on 24th September 2018. 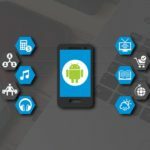 This latest version of the integrated development environment (IDE) offers a new Android App Bundle, in addition to around twenty more features to empower developers in more than one way. 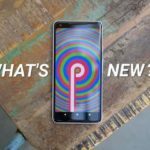 Now that the final stable release of the 3.2 version is available, it’s time to know more about all that it brings. Let us list out these features and understand how they are likely to improve the Android app development process. 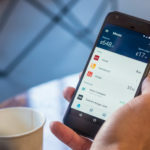 App Bundles: Android Studio 3.2 is capable of generating App Bundles with Dynamic Delivery app serving model that serves APKs optimized for individual user’s device configuration. This makes it possible to create an App Bundle in a single click rather than generating different APK files meant for each CPU architecture/API level. Material Design Update: The version provides updated widgets such as BottomAppBar, cards, buttons, new font styles, text fields, and more for easing the migration from Android Design support library to MaterialComponents theme and library. Slices Support: It comes with the built-in template for Slices, the interactive snippet that brings the app content in Google Search and Google Assistant without even opening it. Energy Profiler: The energy profiler feature of Android Studio 3.2 provides accurate stats related to the energy usage to the developers so that they are able to understand the impact of the app on the device battery life and work on making them more energy-efficient. Emulator snapshots: The new version allows the storage of the emulator state in a snapshot and also allows the developers to quickly boot into the snapshots. 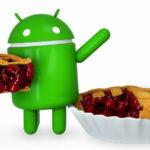 This helps them to test the apps with certain presets that can impact the app’s performance. Automatic CPU Recording: This feature facilitates the recording of CPU activities during app testing to render it more processor-efficient. System Trace: With the system trace feature, the developer can keep a track of the system resources being utilized by the app. Sample Data: This new feature allows the use of placeholder data while designing the app so that the developer can visualize the layouts which depend on runtime data. CMakeList Editing Support: The developers who use C/C++ can avail this feature for code completion and syntax highlighting. Screen Recorder: This function allows the capture of the video of the screen in addition to the audio output. Virtual Screen Camera for the Emulator: The virtual scene camera is meant to help the developers in creating augmented reality apps based on the ARCore platform. IntelliJ Platform: The feature brings several improvements for debugging, data flow analysis, partial Git commits, new inspections, inline external annotations, and more. 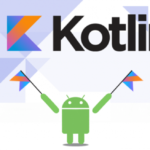 Kotlin Update: The new version offers extensive support for Kotlin-friendly Android 9 Pie SDK with the Kotlin 1.2.61 update. What’s New Assistant: The version brings a new assistant panel which opens automatically after an update and informs about the changes to the IDE. ADB Connection Assistant: This new assistant system supports troubleshooting of Android ADB device connections issues. Profiler Sessions: It is now possible to save the Profiler data as “sessions” that can be revisited and inspected later while Android Studio is open. AMD Processor Support: The Android Emulator supports AMD processors on Windows 10 which makes it possible to have hardware accelerated performance. R8 Optimizer: With this version, R8 has replaced ProGuard to optimize and shrink the Java language bytecode. AndroidX Refactoring Support: Android Jetpack has introduced Android X as the substitute for the Android Support Libraries. D8 Desugaring: D8 desugaring is turned on by default in Android Studio 3.2 to enable developers to leverage the latest language changes even while targeting older devices. Now that you know all about the new features of Android Studio 3.2, the benefits of embracing it will obviously be clear to you. 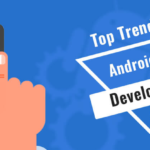 If you are looking for an Android app built on the latest version, it is best to hire Android developers with the right skills and experience. Additionally, it is important to ensure the developer or team keeps abreast with the latest technologies and version upgrades. 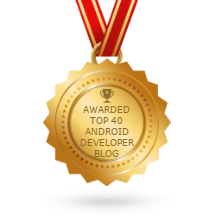 Android Developer is a leading Android app development company that specializes in mobile apps for this platform. Contact us to understand how the Android Studio 3.2 version can bring extensive benefits to your business and make sure that you are able to avail them by adopting it for your business app. 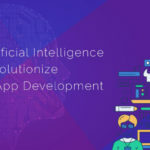 Tags: Android Apps Development on October 9, 2018 by admin.